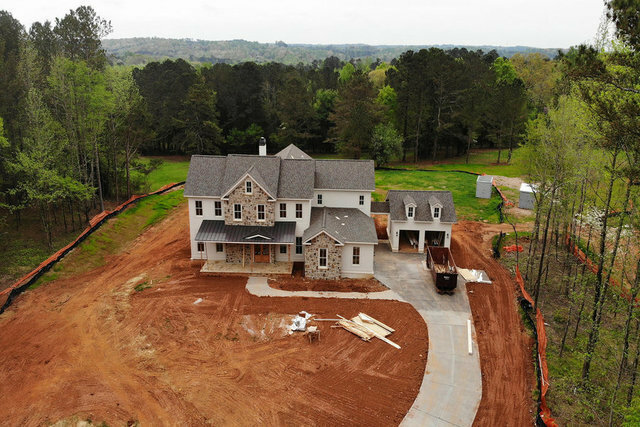 Incredible new construction by ETB Homes on the prominent equestrian Wood Road! Casual elegance with today's trends in farmhouse style featuring open floor plan with a walkout main level, owner suite and guest suites on main, front and rear covered porches, four-car garage. Gourmet kitchen with Jenn Air appliances, custom cabinetry, walk-in pantry, open to covered outdoor living space. Three acres with flat backyard, perfect for pool, pasture, barn.